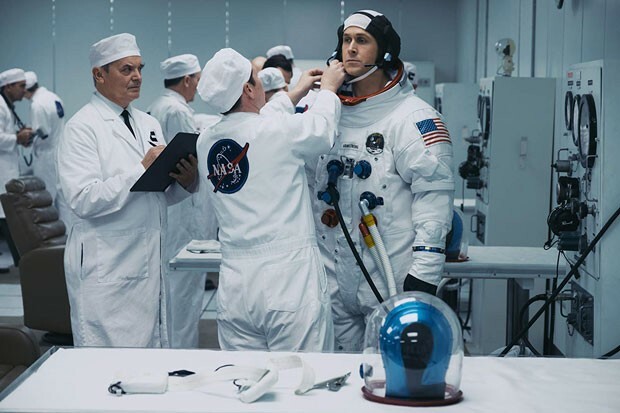 Does First Man Have the Right Stuff? Look at that little baby goose! He's gonna be an astronaut! Some film critics judge a movie based on what they want it to be, as opposed to what made it onto the screen. 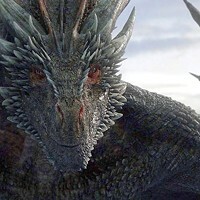 Yes, it's easy to spot missed opportunities, shaky structure and sloppy characterization, but the real central tenet of any kind of criticism should center around whether the artist achieved their vision...whether that vision is to the critic's personal taste or not. With that said, I'm finding it hard to unpack "First Man" without imagining the tiny tweaks that would have made the film an all-timer. We've seen the story of the brave men and women of the 1960s who risked their lives in the vacuum of space in order to be the first men on the moon. We've seen it a lot. Director Damien Chazelle is aware audiences already know how the story of Neal Armstrong and Buzz Aldrin ends, so he instills the space segments with a visual accuracy and intensity that no filmmaker has really ever managed to convey. Chazelle and cinematographer Linus Sandgren put the camera right in the cockpit with the astronauts, making the audience feel the claustrophobia and danger coming from the cramped space shuttle. Even though we know the film will end with the moon landing, it's still thrilling to see how the filmmakers make science cinematic. The problem with "First Man" isn't really the filmmaking or cinematography, it's the simplicity in which everything else is covered. Ryan Gosling and Claire Foy are both fine as Armstrong and his wife Janet, but the domestic drama involved in their scenes feels beyond cliche. Regardless of the historical accuracy of the scenes, their arguments have been covered in hundreds of other motion pictures, including Chazelle's last film, "La La Land." Chazelle makes films about obsession. Whether it's the obsession to be the greatest drummer in "Whiplash" or the jazziest piano man in "La La Land," his films follow men who sacrifice their happiness, sanity and personal well-being to achieve some sort of ephemeral greatness. Since Gosling is such a minimalist actor, Neil Armstrong remains a somewhat enigmatic figure throughout the film. We see him smile and act like a regular human person, but we never really understand his drive because we never see him take a moment to enjoy his achievements. Don't get me wrong, "First Man" is an exquisitely crafted motion picture, but the comparisons to Kubrick and Malick are overblown. It's a technical marvel, but the emotional heart of the film feels just as out of reach as the moon must have felt to the men and women of NASA.